On the vast Lac Ouareau, located near the town of Saint-Donat, sits a charming traditional house surrounded by birch trees. The owners, a dynamic stepfamily, commissioned Montreal-based ACDF Architecture to design for their many children a larger area to play and relax. 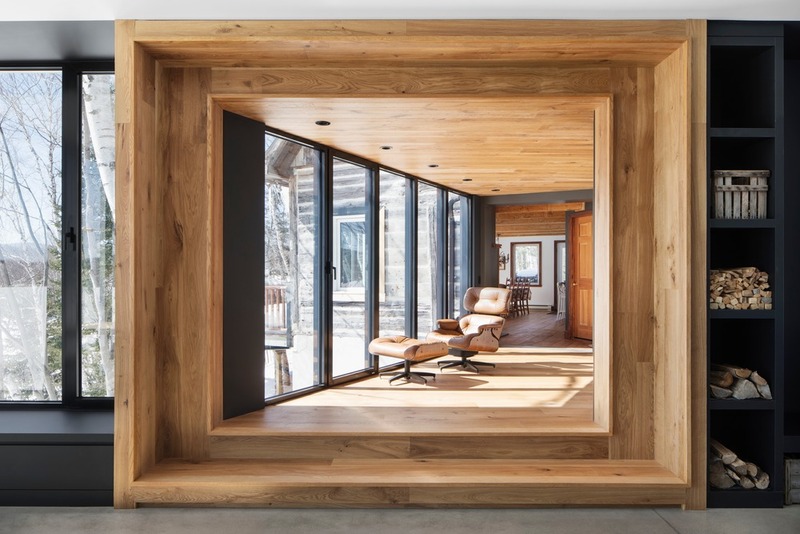 In order to make sure everyone in the family can find a peaceful corner when spending time together, the architects created an addition that mirrors the original building’s dimensions. The extension preserves and pays tribute to the historic house while reflecting the beauty of the landscape it inhabits. The transition from the old house to the new one takes place on a glass bridge. 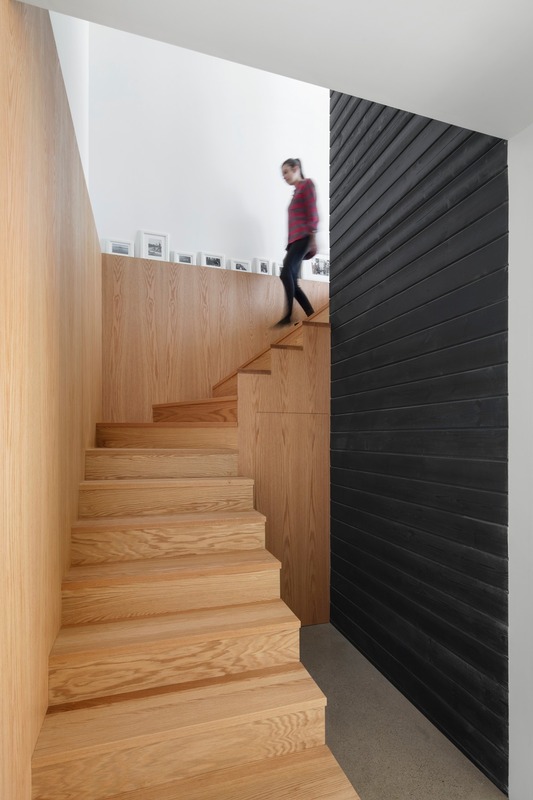 From the extension, an oak wood frame directs views toward the inside of the existing house, the frame’s warm shade matching the old wood planks. The truncated shape of the bridge makes it wide enough to occupy: a welcomed pause in the landscape, floating over a garden. The bridge’s axis aligns the kitchen of the existing building and the new living room. Even when they are seated apart, family members can keep an eye on each other and share quality time.